Non-Profit business development system online! You’ve got a promising non-profit and you can make a real difference in the world, but you’re struggling to fund, organize and build a thriving, impactful organization? Wouldn’t it be great if there were 10 of you to get everything done? But, what if you had hundreds of proven tools at your fingertips to engage more donors, staff and volunteers in growing and building your thriving not-for-profit organization? As if there were 10 of you! And now, to make building your non-profit even easier, we’ve incorporated all of our content from 30 years of successful business development experience and integrated it into a seamless online collaborative dashboard! to organize, fund, run, and scale a sustainable non-profit organization. Click the screen to watch a video demo. Whether you need to raise funds, attract volunteers, manage staff, get your phones ringing, or “all of the above” — our “Business Power Tools” software apps and templates make building a non-profit easier by providing the structure you need to keep you focused on your main organizational objectives. For more than 29 years with 2+ million copies sold, Business Power Tools has been providing entrepreneurs, business owners, and non-profit directors like you with comprehensive and easy-to-use software and templates to fund, build and run your organization. I have had a dream of developing Promised Youth International, a non-profit dedicated to youth empowerment, transformation and leadership. However, although I attempted several times to complete the proper documentation, I never got it correct. Honestly, I had ABSOLUTELY NO IDEA what I was doing. 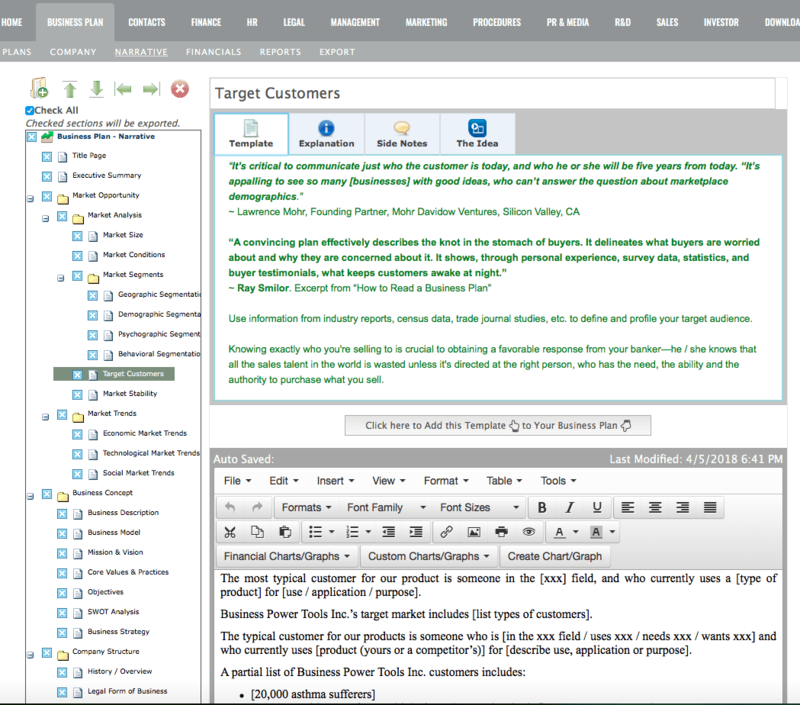 A friend contacted me about these amazing software templates from Business Power Tools. I could not believe how easy these tools made planning and completing the other important projects. The tools literally lead you throughout the process, giving you ideas and lessons on what is needed during each step. What was taking me years to do, took me a few days to fully complete ALL the necessary documentation. Thank you, Business Power Tools, for the tools that now make incorporating non-profits extremely easy to learn and do. Grab this deal now while we’re launching this massive upgrade! It’s all of our software templates / content from 29 years of business apps and experience remastered into a seamless cloud-based collaborative dashboard. EVERYTHING for just $37 / month! As we add more content, you get that too! You keep this discount as long as you maintain your active subscription! Click the “Business Plan” tab to use BizPlanBuilder: Get the money and resources to fulfill your purpose! What are the measurable positive impacts you intend and what will be the measurable impact of donations? A comprehensive business action plan gives you the edge with donors who want to see their money doing the most good. They donate because they want to make a difference and they want you to do good works with the money they give you. Either way donors are “investing” in your organization. The better organized you are the more donations you’ll attract! After using these simple tools, you will have clear action plan to share with donors. Whether you run a non-profit, a not-for-profit, or a for-profit organization, you still need to run an efficient organization! You might not call it profit or that might not be your purpose, but if you want to stop begging for cash and make the difference you want to make, you must be sustainable. And that attracts money! BizPlanBuilder writes a strategic plan easily and with beautiful results. Its organized system gives you sample plan templates, built-in financial projections, and a proven PowerPoint presentation template. Once you know your strategies for the next 6 months or 6 years, donors will be compelled to give you the funding you need! Enhanced 128-bit Cyber Security — you control access, app by app! BizPlanBuilder played a part in saving a tribe of pygmies in Africa. Grant money comes much more easily with a clear and compelling strategic plan demonstrating service & sustainability. Read what Rick Gregory wrote about a grant funded through Rotary International. Although your motivation may not be for money, you must still operate your organization efficiently. BizPlanBuilder has proven successful appealing to grant-funders because it enables grant-seekers to provide a credible proposal. Donors have many options — Now you’ll stand out in the crowd. Need help getting your non-profit approved?!? Our friends at GVNG.org have a new system for applying and getting your 501(c)3 status — in a fraction of the time it usually takes AND at a fraction of the cost. Attracts donors to your cause! Reach more donors, staff and volunteers! This software will help you reach new clients, new donors, find an audience for your newest program, engage volunteers, and/or deepen existing relationships – by finding the right way to reach each set of stakeholders. All of these completely pre-scripted templates are easily edited using Microsoft® Word and Excel®. With almost a hundred templates based on successful marketing plans, Marketing Builder enables you to easily plan and build an entire marketing campaign from scratch. We all know how valuable PR can be for nonprofit organizations, especially for fundraising! You are the best person to present your organization to the world. Until you can afford professional PR support, develop and manage your own public relations using this proven Public Relations / Media management system. A volunteer can use Publicity Builder and manage your PR! It’s like having another staff person, but without the cost. Reinforces your successes with your constituents and donors! Learn to nurture those relationships with our online PR Tutorial. Customer Relationship Management… and a lot more! This up-to-date employee policies handbook creates a productive culture while it protects your organization from labor disputes and lawsuits! Here’s the easy way to create an employee policies and procedures manual to establish your “ground rules” for working at your organization. The foundation of your business is your people, whether they’re paid or volunteers. They are intelligent, well-intended individuals — it’s important to show them that you respect them as people as well as employees. Pre-written sample employee policy handbook includes 200+ employee policies and procedures — eliminates most of the loopholes that other software does not. Developed with HR Experts (we are a member of SHRM), attorneys, successful entrepreneurs, and psychologists. This employee policy manual software template provides management best-practices and ensures that employees are treated fairly. And you cannot afford to be sued by an employee and/or fined by OSHA! Only you and your invited team, advisors, and guests get access! The real benefit of this subscription is that it keeps all of these important projects alive and up to date, as well as enables ongoing collaboration with your team, advisors, donors, and volunteers! You can easily designate an unlimited number of additional users to collaborate with you using password-protected role-based access. Section by section Check-Out & Check-In prevents overwriting each others work! It’s all of our content from 29 years of business apps and experience remastered into a seamless cloud-based collaborative dashboard. EVERYTHING we make for just $37 / month!